Do you have a dog who is suffering from hyperactivity? We have the explanations and the cures for just such a problem. It’s not uncommon to hear cries for help from dog owners across the world in regards to their dog’s hyperactivity problems. For many hyperactive dogs this can be easily cured, while others will need a good dose of training and patience. The most important aspect of understanding hyperactivity in dogs is to look at when your dog is displaying this behaviour. Is it when you come home, or when a certain person returns home? Or is it a continuous hyperactive behaviour? Or only when other dogs are around? Write down the exact times and environmental triggers that may be causing your dog’s hyperactivity. HELP! My dog is hyperactive ALL THE TIME! Most dogs suffering from continuous hyperactivity are bored dogs who are in desperate need of stimulation. This can be easily solved with added exercise (think a nice long walk on the lead or a run in the dog park). Also consider a good dog training school and take a refresher course yearly. A well-trained dog is much less likely to suffer from getting overly excited. Some dog breeds are also more inclined to be bouncy, energetic dogs. If you didn’t do your homework with your chosen dog breed, you may be a little overwhelmed by how much exercise and stimulation your dog actually needs. Remember, that many canines were bred to perform certain tasks. So a working dog, stuck in a backyard all day with nothing to do, may exhibit hyperactivity and other dog behavioural problems due to the lack of stimulation. Get your dog involved in a dog sport. This is a fun way to stimulate your dog and release that pent up energy. If your dog is showing signs of over-excitement when you come home (sometimes a dog will also pee themselves during this time), it is paramount that you completely ignore your precious pooch. If your dog likes to pee during this time, or exhibits other behaviour like jumping or nipping; it is important to not make eye contact and take them outside immediately. Once your dog is calm, you can pat them. By removing the ‘big deal’ that you have come home, your dog will understand that they are OK when you are not around. 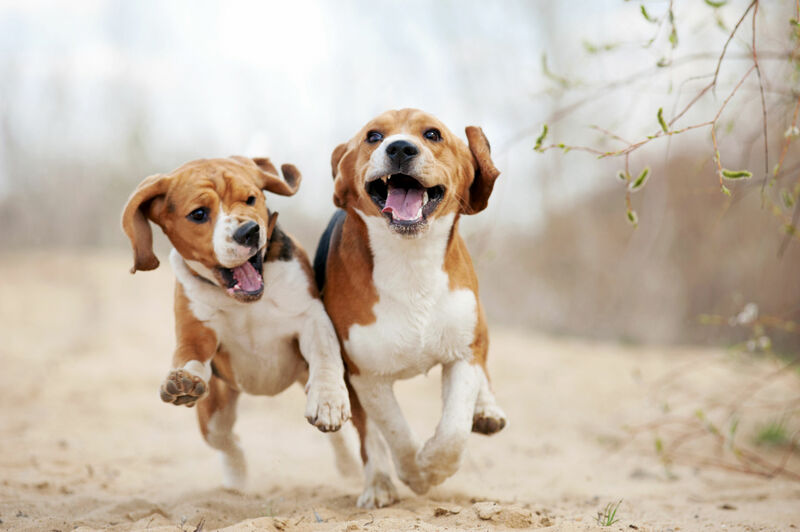 If your dog is overly excited around other dogs, try popping them back on their lead. Once they are calm, let them off to play again. Working on your recall (“Rover, come!”) is very important for this. Your dog should always come when called regardless of the distractions around them. Not only for their safety, but also for your comfort knowing that they will always come back. Booking them into a group dog training session can also be hugely beneficial to teach your dog to be calm around other dogs.